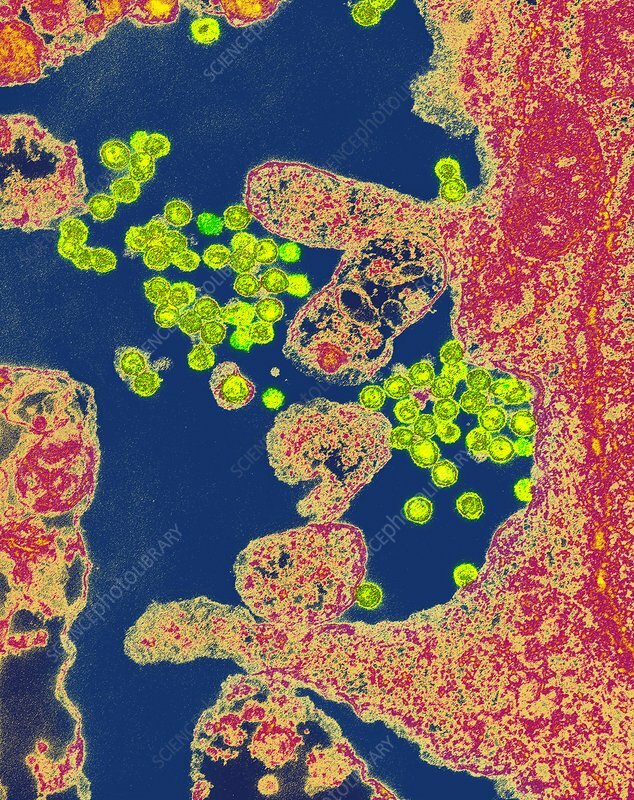 Rous sarcoma virus (RSV) infection, coloured transmission electron micrograph (TEM). The virus particles (green) are in the process of being released from their host cells, here chicken embryo fibroblasts. Rous sarcoma virus is a retrovirus. It causes sarcoma, a form of cancer, in chickens. Cancer-causing viruses are classed as oncoviruses. Magnification: x25,000 when printed at 10 centimetres tall.